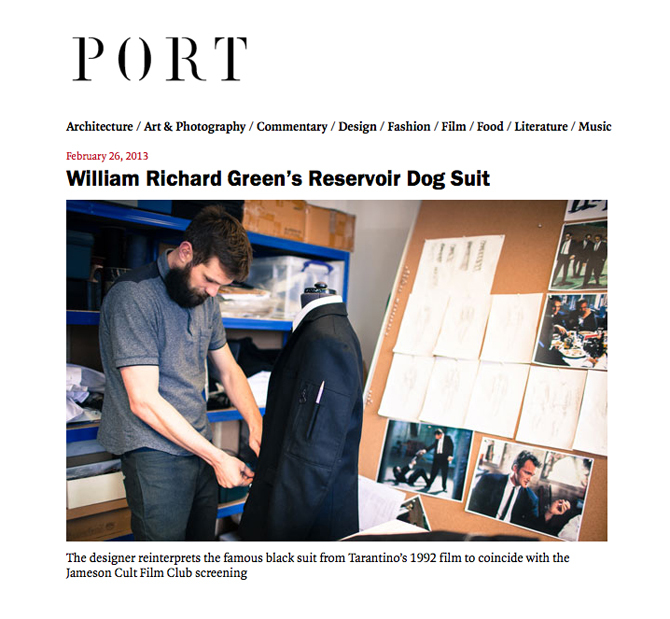 Last week I dropped into William Richard Green’s studio on behalf of Port. Click here to read the article and to see more images. This entry was posted in Photography and tagged FASHION, JAMESON, MENSWEAR, RESERVOIR DOGS, SUIT, WHISKEY, WILLIAM RICHARD GREEN. Bookmark the permalink.